London, 15 November 2018 –The AfricaCom Awards show, supported by Founding Awards Sponsor, PCCW Global, was a colourful and festive Mardi Gras themed event last night. 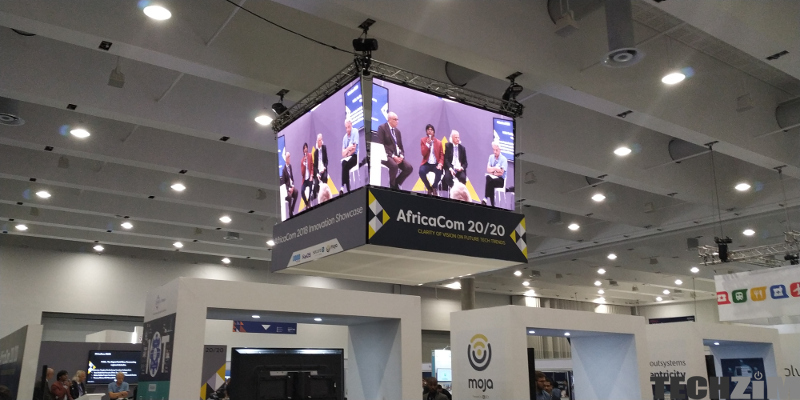 Held in Cape Town during AfricaCom, guests celebrated and acknowledged those trailblazers who are leading digital inclusion, connectivity and digital development on the African Continent. Also, winners on the night of two very special peer-voted awards were: Abdikarim Mohamed Eid – CEO, Telesom who was acknowledged as the AfricaCom CXO of the Year and, Priya Thakoor – Chief Digital Officer, Coca-Cola South Africa who was recognised for outstanding achievements in driving ‘Digital Africa’ forward and walked away with the award for the AfricaCom Enterprise CXO of the Year. Econet Globa had three awards in total: Liquid Telecom, their Pan African connectivity and infrastructure player was awarded with the ‘Best Network Improvement award. They delivered on their promise of Cape to Cairo connection and thus got recognised for it. The surprise recipient of a ‘Digital Entertainment Solution’ award was Kwese iFlix which is a product by Econet Media. Ecocash together with their technology partner, Mahindra Comviva were presented with the ‘Innovative Fintech Award.’ This was for the Ecocash merchant payments solution. This is something we take for granted sometimes but is quite revolutionary. Indeed a prophet has no honour in his land. Well done Econet for the sterling work and pride you have done and brought us. I often hear people say “If only MTN was in Zimbabwe” and I would argue that “What will they do?”. Some have labelled me as having a bias towards Econet and they don’t want to listen to the innovation. MTN would give Econet more serious competition, lowering data charges and forcing them to offer better services, improve customer care etc. What was in you mind, Llodza? Do you think people want Rands from MTN? Yes Econet has created jobs locally but its not an excuse for offering bullsh*t! !